Use plenty of positive and encouraging words when talking with your child. Try to avoid using sarcasm or mockery and get rid of put-downs from the words you use as a parent. Children often don’t understand your purpose, and if they do, these messages can create negative ways of talking and connecting with each other. Be a good role model by treating others how you would like to be treated. Make an extra effort to set a good example about how to connect and talk with other people at home and in public. Use words like "I'm sorry," "please," and "thank you." Children learn a lot from observing and imitating their parent’s behavior. Respond promptly and lovingly to your child's physical and emotional needs. Be available to listen to your child when he/she wants to talk with you even if it’s not the best time for you. Ask your child “How was your day?” and listen to the answer. If you see signs of anxiety or depression, ask your pediatrician for advice on how to help. When your child is angry, grouchy or in a bad mood, give him a quick hug, cuddle, pat, secret nod or other sign of affection he responds to and then consider talking with him about the event when he’s feeling better. Never respond in violence if your child is in a bad mood. Use non-violent forms of discipline. Parents should start using both rewards and restrictions many years before adolescence to help establish ways to encourage strengths and address concerns during the teenage years. Allowing children of any age to constantly break important rules without being disciplined only encourages more rules to not be followed. No matter what your child has done, keeping an open line of communication with the child is crucial. Make plans to spend time alone with your young child or teen doing something she enjoys on a regular basis. Encourage your child to be active by going on walks, bicycle riding, or playing ball with you. Consider sending a Valentine’s Day card to your older child or teen. Think about making Valentine’s Day cards together with your preschool or younger school age child. Mark family game nights on your calendar so the entire family can look forward to having ways to enjoy spending time together. Put a different family member's name under each date, and have that person choose which game will be played that evening. Turn off cellphones and/or tablets during these family times. Consider owning a pet if possible. Having a pet can help make some children, especially those with chronic illnesses and disabilities, feel better by increasing their physical activity, enhancing their overall positive feelings, and offering another way to connect with someone they care about. One of the best ways to have your child learn more about good food choices is to encourage him to cook with you. Let him get involved in the entire process, from planning the menus to shopping for ingredients to the actual food preparation and its serving. It is wonderful when families eat together as much as possible. Good food, good conversations. These are excellent times to model healthy food choices. Refrain from using any electronic device, including your own phone, during meals. As your child grows up, she'll spend most of her time improving upon a variety of skills and abilities that she gains in all areas of her life. You should help her as much as possible by encouraging her and providing the tools and teaching she needs. Start reading to your child beginning at six months. Avoid TV in the first two years, monitor and watch TV with your older children and use TV time as one topic for conversation time with your children. Limit computer and video games. Your child's health depends a lot on the care and support you offer during his early years. 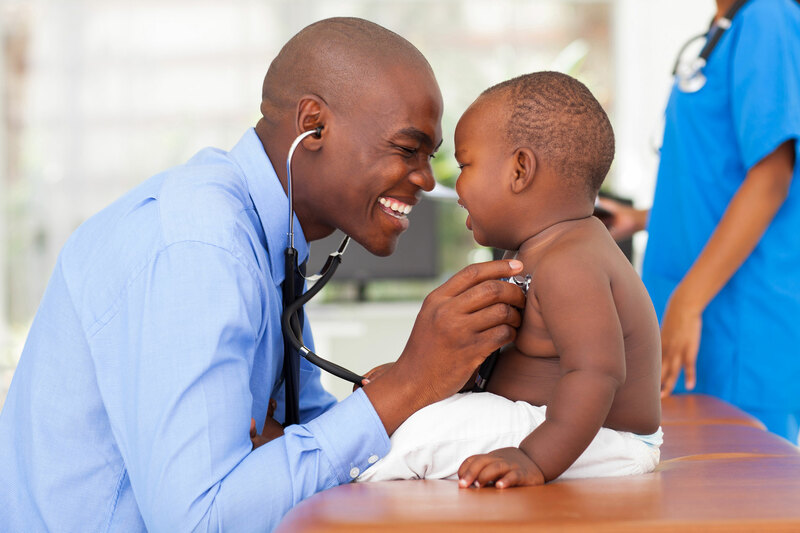 By taking your child to the doctor regularly for well child or preventive health care visits, teaching him how to be safe from injuries, providing a healthy and nutritious diet, and encouraging good amounts of sleep, physical activity, and exercise throughout childhood, you help protect and strengthen his mind and body. Model these behaviors for your child(ren) on a daily basis. A good place to start is by the use of seat belts or child passenger safety seats every time you are in a car. Help your child foster positive relationships with friends, siblings and members of the community. Consider inviting friends or neighbors to spend time drinking tea, having a meal, playing a game, or helping others in need. Encourage your child to play sports or be involved in activities that show teamwork. One of your most important gifts as a parent is to help your child develop self-esteem. Your child needs your steady support and help to discover his strengths. He needs you to believe in him as he learns to believe in himself. Loving him, spending time with him, listening to him and celebrating lessons learned from his mistakes and successes are all part of this process. Don't forget to say "I love you" to children of all ages!